Sometimes truth is stranger than fiction. 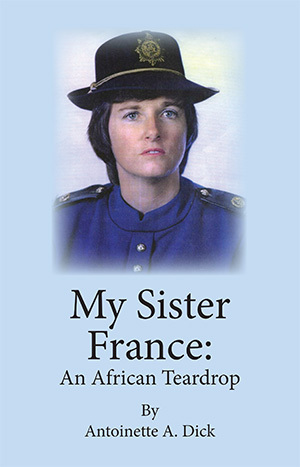 My Sister France : An African Teardrop is the remarkable and true account of Antoinette's late sister France, set in a changing, politically unstable country in Africa. A story which needed to be told. What are they saying about My Sister France: An African Teardrop? unusual experience which unfolds in her book. As a close friend, I have come to trust her stories shared, and with consistency of recount.”"